Eni Yoga Mat - This yoga class will get those sore muscles stretched and avoid injury. Eni Yoga will show you how to breathe through the stress and leave you worry-free and refreshed. 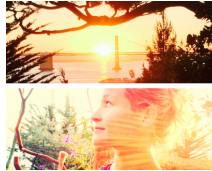 Eni (short for Eniko) has been practicing yoga for over 15 years and has started teaching yoga in Frankfurt in 2013. 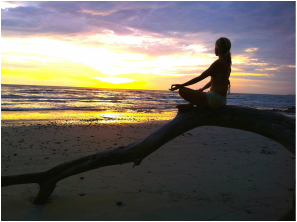 She received her 200hr YTT (Yoga Teacher Training) in Bali, Indonesia by Recharge Retreats and is certified by the American Yoga Alliance. 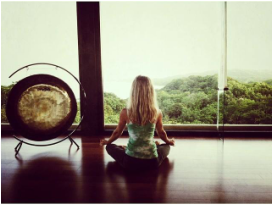 She is a vinyasa flow yoga instructor and has studied with Margi Young, Edward Jones from New York (OM Yoga Studio in NY) in Bali, and was inspired by teachers such as Jason Crandell, Janet Stone and Jane Austin in San Francisco. Eni likes to teach a class that is focused on the breath, a steady rythmic flow where the mind can relax, a class that feels both challenging and sweet. Sign up and follow the latest blog articles! 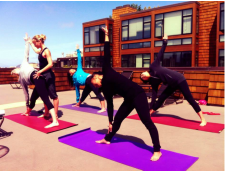 Corporate yoga classes in San Francisco. Follow other co-working spaces like SpherePad and Runway and create your own wellness program. Yoga enhances flexibility, mobility and agility of the body. It lengthens the connective tissues, muscles and ligaments between your joints, so your body's range of movement expands. It improves posture, lowers levels of stress and decreases blood pressure and lower back pain. You can achieve a lower BMI when practicing yoga regularly, and can have a better appetite, while controlling cravings. Yoga increases your cardiovascular fitness and help torch calories. One hour of power yoga can burn up to 500 calories. Think muscle stretch, that feels challenging but can still relax. Finding your edge, slowly transcending it how yoga can help you move through physical and mental limitations. This can also filter into the rest of your life as you become more willing to 'stretch' yourself further. Don't be intimidated by her fierceness... She is constantly pushing herself to be better and will do the same for you! I love you Eni :)"
"@EniYoga #ThankYou... You're a #Wonderful #YogaTeacher & Individual! I #CantHardlyWait to participate in your class again ❤️#UnionYogaSF!!!" "Eni classes are the perfect balance of mind, body, & sprit. The way she teaches allows you to connect to all three of these elements equally or more focused on one vs. the others if you feel you need. She offers a fluid set of movements to keep your heart rate going yet always remembers to take a moment and be present in the moment. She is prefect for ANY level student! I thoroughly enjoyed her class and look forward to more in the future!" Eni encourages people to find their edge, slowly transcending it through physical and mental limitations, paying great attention to individual's preference. My preference is fast-paced flow with very short shavasana (as I normally can't relax in it and start going over my daily to-do list instead), but Eni ALWAYS made this final step of the practice relaxing, enjoyable and free-minded > adding her aromatherapy expertise to the exercise. Make sure you ask her about that, you won't regret it :)"